Tonight the Art with Heart team are sharing creative projects featuring “in color” theme. Check out the new 2018 - 2020 in colors and lets not forget the current 2017 - 2019 in colors. 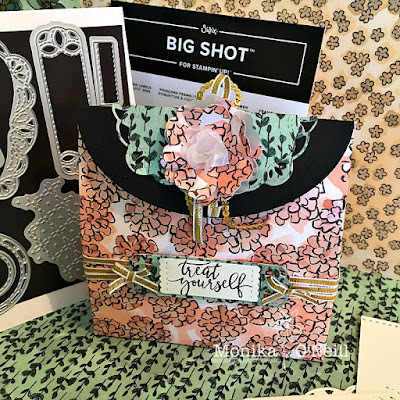 If you would like a copy of the 2018-2019 annual catalogue, contact any of the girls on the blog hop and we will get in touch with you. 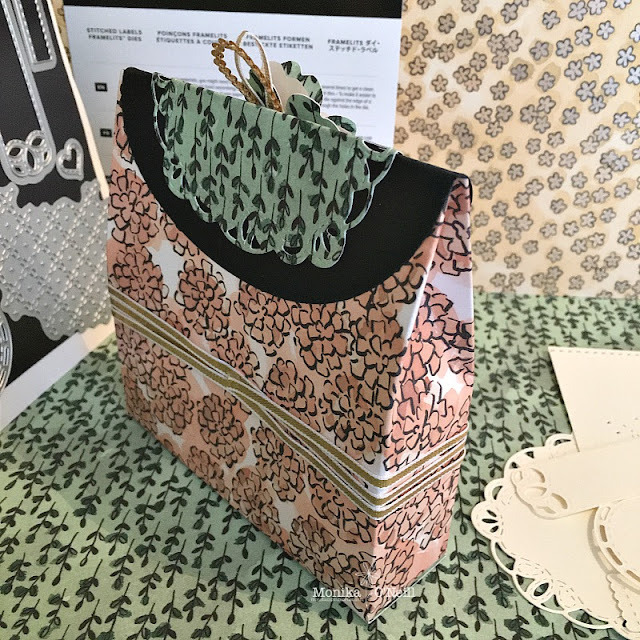 Hi everyone welcome to our May blog hop, for my first project I made this cute gift bag. The black part of the bag topper I cut out of black card stock using the largest oval framelit and the green is cut using the stitched labels framelits and the DSP is Share what you love. 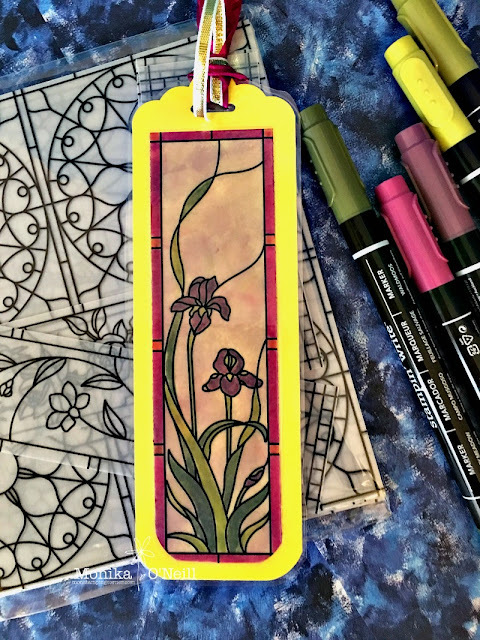 My second project is a book mark, the cardstock is the new Pineapple Punch colour. The Graceful Glass Designer vellum makes a perfect background. 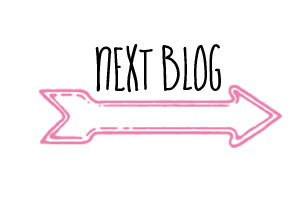 I coloured the back of the vellum using Stampin'Up! markers, and then laminated it. 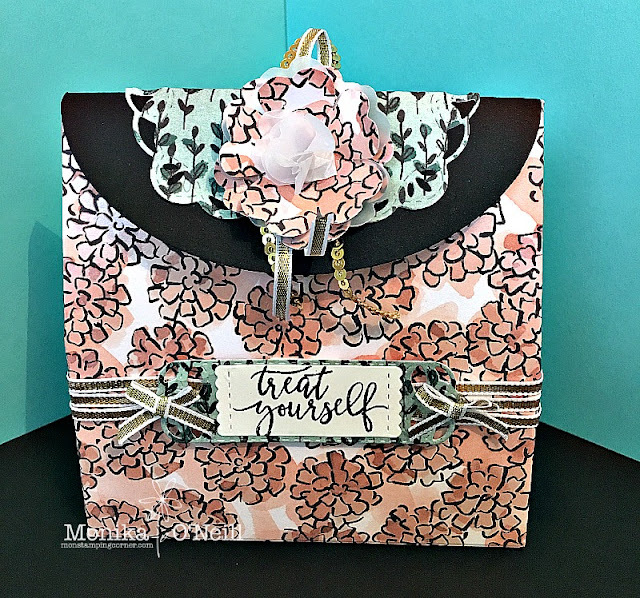 For this birthday card I used the new Lovely Lipstick card stock, the top of the card I used the Garden Impressions DSP, the lovely cream lace paper is from the Delightfully Detailed Laser Cut DSP, I added some navy cord ribbon (which is retiring) in the middle. 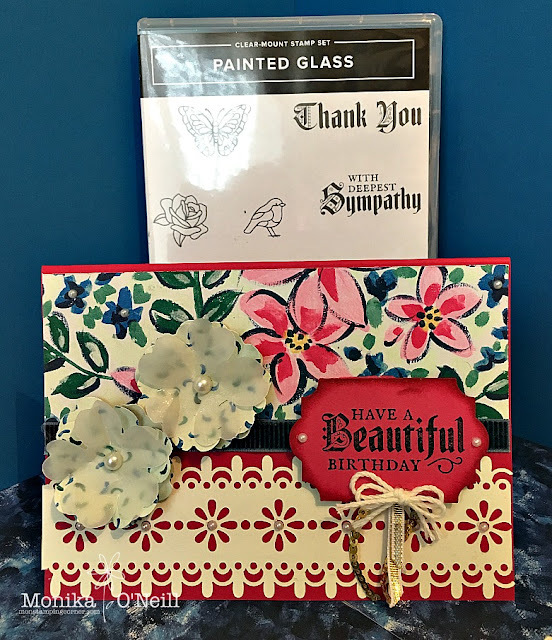 The sentiment is from the Painted glass stamp set and I used the Everyday Label punch and going around with a sponge dauber. Flowers are made by punching out 2 DSP and 1 Vellum using the pansy punch (also retiring) and adding pearls in the centre of each flower. My fourth and final project is a vintage style tag, loved making this one. I used mossy meadows card stock (very happy this came back) for the tag which measures 3" x 6", I also sponged around the tag. For the flower I once again used the pansy punch and sponged crumb cake using a dauber, when the ink dried I glued 3 together the 4th one I scrunched really well so it would stand up in the middle. The DSP is also from Share what you Love, I sponged Crumb Cake onto a white doily. The stamp set is the Hostess one Hand Delivered, instead of stamping the balloons I used the 1' circle punch and used the new In colour cardstock, Lovely Lipstick, Grapefruit Grove, Pineapple Punch, Call me Clover and Blueberry Bushell, I added some glue and sprinkled Dazzling Diamonds on top. I finished off using gold mini sequins, Rich Razzelberry and Gold 1/8''. You have been very busy for us again Monika! Really enjoyed your use of the new colours and your lots of details. 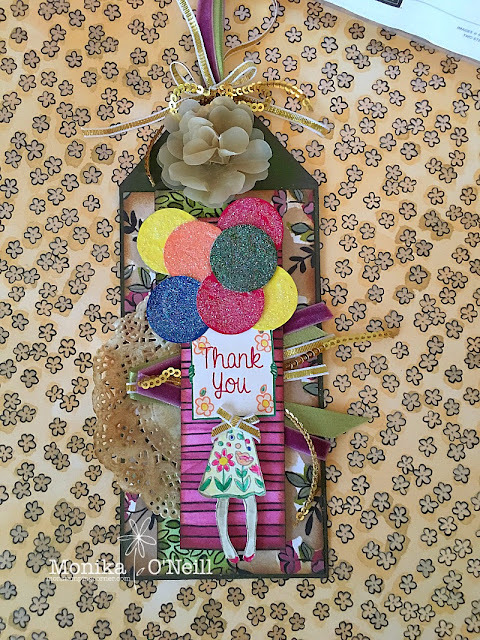 Thankyou for taking part in the Art With Heart team monthly blog hops. Such fantastic project Mon, isn't that DSP just gorgeous on the bag, which is fabulous! Just loving the vellum and you have coloured it beautifully and I am loving in Hand Delivered and your vintage tag is so gorgeous,I love it! I always look forward to seeing your projects, Mon. You have so much detail, I'm in awe! 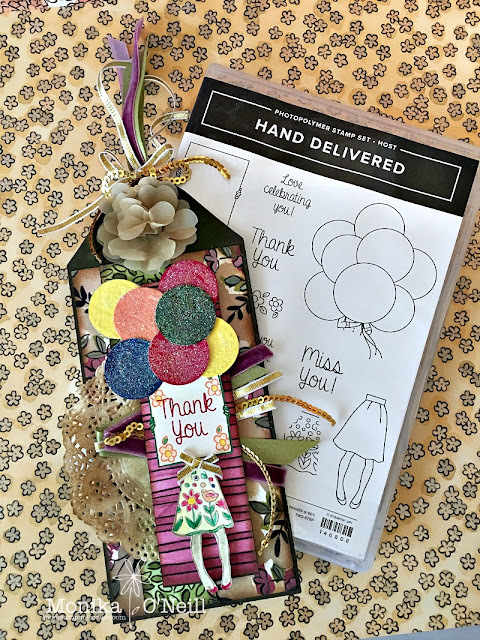 I especially love your last project with the stamped skirt, dazzling balloons and all the layering, wow! Wow, so many amazing projects - it's hard to pick a favourite! I think the gift bag may have it by a whisker!